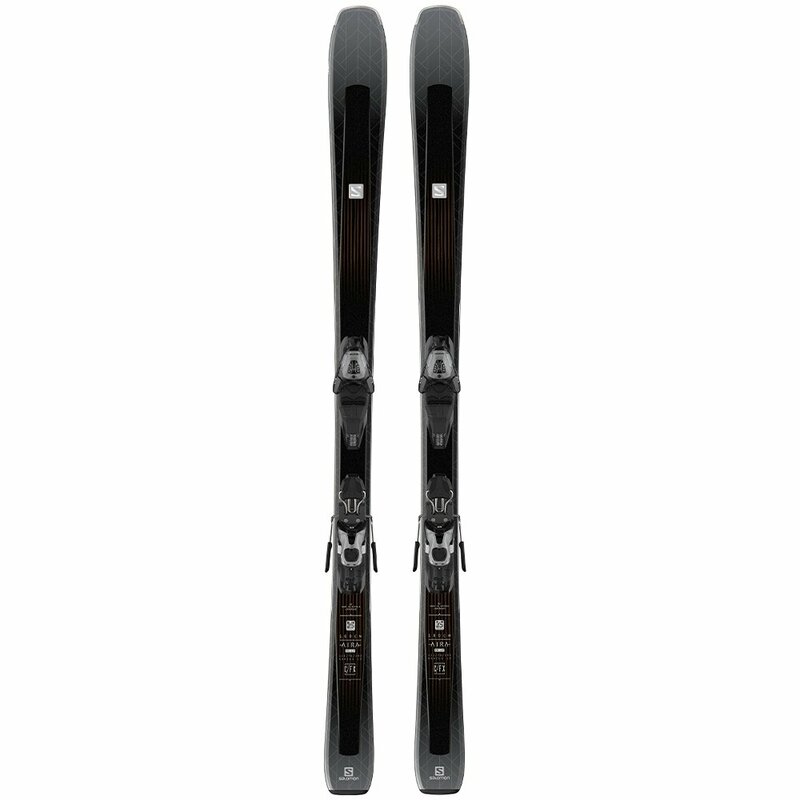 The Salomon Aria 76 CF Ski System with Lithium 10 Bindings are all-mountain ready and designed to impress. That's why the Woodcore is reinforced with Carbon Fiber, because paired with the All Terrain Rocker 2.0 Profile that makes these skis extremely agile and fast responding. A camber section underfoot adds grip when you need it, and the rockered nose and tail brings your contact points closer to you for easier control. That doesn't mean these skis are a handful though, with easy to handle Semi-Sandwich Construction and Pulse Pads running along the edges smoothing out rough conditions.